Born in Melbourne, Australia in 1938, Dr Caldicott received her medical degree from the University of Adelaide Medical School in 1961. She founded the Cystic Fibrosis Clinic at the Adelaide Children’s Hospital in 1975 and subsequently was an instructor in pediatrics at Harvard Medical School and on the staff of the Children’s Hospital Medical Center, Boston, Mass., until 1980 when she resigned to work full time on the prevention of nuclear war. 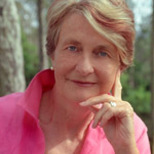 In 1971, Dr Caldicott played a major role in Australia’s opposition to French atmospheric nuclear testing in the Pacific; in 1975 she worked with the Australian trade unions to educate their members about the medical dangers of the nuclear fuel cycle, with particular reference to uranium mining. While living in the United States from 1977 to 1986, she co-founded the Physicians for Social Responsibility. She also founded the Women’s Action for Nuclear Disarmament(WAND) in the US in 1980. Dr Caldicott has received many prizes and awards for her work, including the Lannan Foundation’s 2003 Prize for Cultural Freedom and 21 honorary doctoral degrees, and she was personally nominated for the Nobel Peace Prize by Linus Pauling – himself a Nobel Laureate. The Smithsonian has named Dr Caldicott as one of the most influential women of the 20th Century. She has written for numerous publications and has authored seven books. Dr. Caldicott’s two most recent books are the revised and updated If You Love This Planet (March 2009) and Loving This Planet, The New Press 2012. Dr Caldicott currently divides her time between Australia and the US where she lectures widely. She founded the US-based Nuclear Policy Research Institute (NPRI), which evolved into Beyond Nuclear. Currently, Dr Caldicott is President of The Helen Caldicott Foundation/NuclearFreePlanet.org, an educational outreach project that informs people of the dangers of nuclear power and weapons. 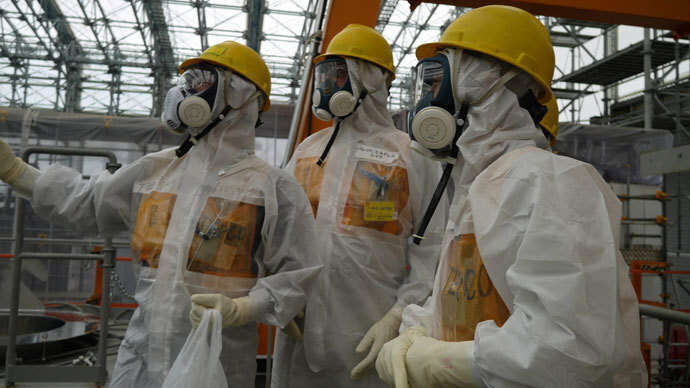 What if there is another major release of radiation before the Olympics? Young fit people who have spent years in rigorous training must, under no circumstances be exposed to radioactive air, food or water. And how can Abe possibly consider spending all that money housing people in expensive accommodation and constructing stadiums etc. when his own people - 160,000 Fukushima refugees - live in shacks and millions still live in highly radioactive zones and when the Fukushima complex is out of control?